Home » Airfare » What's Allowed in Carry-On Bags? What's Allowed in Carry-On Bags? There can be a bit of confusion about what items are allowed onto planes in your carry-on luggage. 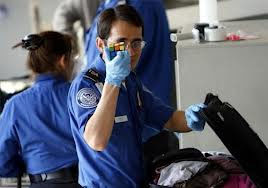 It is always advisable to check the TSA’s list of prohibited items before you leave for a trip as the list of items can change from time to time. Exceptions to this rule relate to baby milk and medications. Be aware that TSA agents may still test the items prior to allowing you through security. Sticking to the 3-1-1 rule will ensure that you are not required to throw out your favorite hand cream or jar of homemade jam. There are many other types of items that passengers may have some confusion about whether or not they are prohibited. Here are some items that you should avoid taking with you in your carry-on luggage. Sharp items that include ice picks, meat cleavers, razor blades, box cutters, scissors with blades exceeding 4 inches, swords or sabers. Certain sporting items like baseball and cricket bats, hockey sticks, golf clubs, pool cues, ski poles and spear guns. Firearms that include flare guns, compressed air guns, BB guns, flares, and starter pistols. Some of these may be permitted with a special allowance, and must be declared to the airline when you check in. The same rules apply to ammunition. Tools that include cattle prods, axes, drills, hammers, crowbars, saws or screwdrivers longer than 7 inches. Self-defense items and martial arts tools like stun guns, mace, and throwing stars are not permitted. Flammable and potentially explosive items like lighter fluid, gasoline, hand grenades, dynamite, and blasting caps. These items are also not permitted in checked baggage.